"One reason I admire Lee today is that he's not jumping on bandwagons. He's sticking to Lee Morgan, and you either accept it or you don't." Freddie Hubbard replaced Lee Morgan in the Jazz Messengers in the summer of 1961, and for two years he wasn't heard from on the national jazz scene (one radio announcer, thinking him dead, programmed a Morgan memorial show which Lee heard). Like too many of his friends and associates, Morgan had been using heroin, and during this period he fought to get himself together in his native Philadelphia. From this low point he returned to New York in 1963, reestablished the Blue Note affiliation and, at year's end, recorded his greatest commercial success, The Sidewinder. The long-metered title blues was so popular that Chrysler Corp. used it behind an automobile ad shown during the 1965 World Series. When The Sidewinder became a hit Morgan was back with Art Blakey; he left in 1965 to work with his own bands and pursue the larger success his record sales promised. If greater fame and economic security proved illusory, Morgan was able to turn out a series of beautiful albums with the help of some of the period's finest artists. His playing was of a piece with his earlier work, only stronger; and aside from attempts to recreate the mood of "The Sidewinder," which became de rigeur on his and others' Blue Note sessions, the most notable change in Morgan was his involvement in composition. Morgan wrote minimally through 1961, using his early albums to spotlight the work of Philadelphia composers Benny Golson, Owen Marshall and Cal Massey; beginning in 1963, however, Morgan let his own tunes be heard. The last four years of Morgan's life saw him become increasingly vocal about the neglect of jazz by American society in general and the media in particular. In liner notes interviews he argued for government and media support, and he was one of the leaders of the Jazz and People's Movement which demonstrated during the taping of talk and variety shows during 1970-71. This increased social awareness seemed to signal a new era for Morgan where self-indulgence (characterized in the '60s by his song titles, which were often word-plays on his name) gave way to communal concerns. Again, the musical changes were less overt, as he retained all of the earlier passion and straight-ahead swing but now shared compositional responsibility among several members of his working quintets. Larry Mizell reportedly created the album that Donald Byrd recorded as Black Byrd (an album which revealed the growing jazz crossover market) as a vehicle for Morgan, but it remains questionable whether Morgan could have adjusted to the demands of contemporary pop stardom. For, as Freddie Hubbard noted in the aforementioned interview, "One reason I admire Lee today is that he's not jumping on bandwagons. 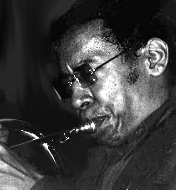 He's sticking to Lee Morgan, and you either accept it or you don't." Suddenly, though, Morgan was gone. On the evening of February 19, 1972 his common law wife shot and killed him during an argument at Slugs'. Only after the tragedy did his monumental talent, taken for granted during his lifetime, slowly begin to gain its proper share of recognition. Lee Morgan's presence on a record date is now viewed as a guarantee of quality, and deleted albums under his name are valuable collector's items. The respect many feel for his achievement, like the music on this excellent collection, was unnecessarily delayed. When will we ever learn?